The Grand Hyatt Washington is holding a block of rooms at a reduced rate of $389.00 for April 18, April 19, April 20, April 21, April 22nd. BOOK YOUR HOTEL RESERVATION ONLINE. Reservations should be made prior to the March 23rd 2015 cut off date, in order to guarantee the conference rate. STM cannot be responsible for allocation. Please reserve early to avoid disappointment. Join other journal managers, marketers and society mid-executives for this day-long deep dive into the powerful business that is society publishing. From optimizing journal operations to exploring the global dialog around open access, peer review and alternative metrics, this session brings industry experts with a variety of backgrounds in a lively mix of panels and discussions. Make sure your publications are fulfilling the mission of – and delivering revenue to—your professional association or society. Societies have served the interests of those belonging to them as far back as the 1600s. Over the years, societies have proliferated to serve both broad and narrow fields, individuals and groups. Many societies have experienced growth in the numbers of members and in their extent of engagement in benefits of membership (e.g., journals and other information products, educational materials, conferences/events). However, the period of growth may be changing as baby boomers are replaced with Generations X and Y, whose priorities are different; technology more easily enables connections in new and different ways; and challenging economic conditions impact purchasing decisions. To continue to thrive, societies cannot maintain their organizational benefits and business models in the same way. Rather, even if their goals and vision remain unchanged, societies need to rethink how they will achieve them in ways that are meaningful to their members and sustainable to the organization. Deni Auclair, Vice President & Lead Analyst, STM, Outsell, Inc.
Market size and performance of the global STM society publishing market, including key organizations in this space. Drivers and trends influencing the STM market, such as mobile technology, open access platforms, and social media. Analysis of new challenges that societies face and recommendations on how to address them. Essential actions for maintaining relevance, driving membership growth, and improving product offerings. Ann Michael, President, Delta Think, Inc. Does the Journal Reflect Global Society Goals? A Case Study from the American Society of Clinical Oncology. A society’s existing journals portfolio may not be aligned with the international goals of the organization. Publishers may be tempted to publish more globally-oriented content in existing journals to better align with the society’s global goals. However, this approach may contradict the vision and goals of editors and confuse the core readership of society members. Article submission data may provide false signals. Therefore, it is important to adopt a more expansive view when assessing the need and potential solution. It is hard to argue against the benefits of open access to the global scientific community and societies are committed to advancing science and the professions they represent. That said, there are financial realities involved. Many societies count on income from journals to support outreach, education, and other mission critical programs. Further, not every professional community supports open access or has the funds to pay for open access. This session will explore researcher preferences when it comes to open access. We will also get the perspective of a society journal editor who as a researcher supports open science but as an editor is trying to balance the needs of the society against the desire to be open. We will also hear about the role alternative metrics play in determining the value or impact of content, whether open or not. An overview of the results from the 2014 Survey of Learned Societies, focusing on the role of learned societies in an Open Access world. We explore the survey data related to the topics raised most often, when our society contacts were asked: “What concerns you the most when thinking about the next five years?” As well as finances, perceptions and diversification, we also take a very brief look at compliance with Open Access mandates. How can we improve our journal operations? What factors need to be considered and what outcomes can we hope to achieve? The speakers in this session will share their experiences of developing publishing strategies, of optimising both peer-review and production processes, and of societies going out to tender to choose the most suitable publisher for them and their publications. Driven by technology, public policy, internationalization, changing business models, industry communication challenges, and generational imperatives, profound changes are taking place in the scholarly publishing community. The STM annual U. S. conference brings together major stakeholders in our changing environment. The conference facilitates participants to listen, learn, discuss and network. 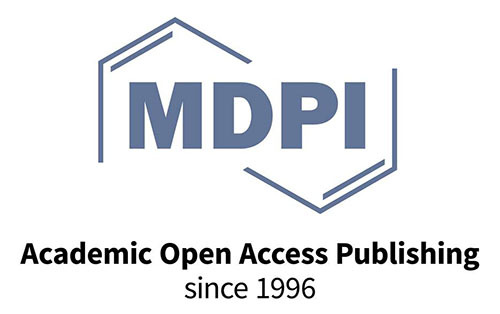 Most of the public information about scholarly open-access publishing comes from open-access advocates themselves, and the information they supply is often incomplete and unbalanced. This presentation will fill this gap and provide a more complete view of open access, covering topics such as predatory publishers and related scams, the decline of academic librarianship, and the breakdown of research cultures. Predatory publishers are a growing threat to the integrity of the scholarly communication ecosystem. Auclair will review some of the key qualitative and quantitative trends affecting the scientific, technical, medical and scholarly publishing industry. Will include “Ten to Watch”, “Essential Actions” and new findings on Open Access. Hot off the press! STM Report 4th Edition. Michael Mabe provides the key insights and developments contained in the 4th Edition STM Report. Despite a relative dearth of venture capital focused on science and the needs of researchers, start-ups in this space are proliferating. Three such startups, with very different missions, products, corporate structures, and funding tell their story. Sciencescape is a VC-funded startup that helps scientists filter the deluge of published research. PRE is a start-up within an established publishing association that seeks to reinforce the value and transparency of peer review. And Center for Open Science is a mission-oriented not-for-profit that makes digital workflow products for scientists. Speakers will discuss their products, missions, structure, and origin stories. Research data have become scholarly objects in their own right, to be released, shared, and reused. “Data publishing” has become a popular metaphor for dissemination activities. While metaphors can provide useful analogies, they also can be misleading. This one is particularly problematic because it equates research data with publications such as journal articles. Journal articles are a genre that evolved over a period of several centuries as a way to make scholarly arguments, whereas data are the evidence that support those arguments. Efforts to transfer publication practices such as bibliographic citation and altmetrics to data are based on risky assumptions about “data publication” that obscure the substantial differences in incentives and infrastructure. This talk, based on the book, Big Data, Little Data, No Data: Scholarship in the Networked World, will explore the role of data in scholarly communication and the implications for STM publishing. The products of scholarly communication are, more and more often, distributed compound objects consisting of distinct components (text, graphics, data, software, etc.) managed by multiple stakeholders using various technologies. The RMap framework captures the relationships between these components and other resources and agents from assertions by individual stakeholders (e.g., publishers, repositories, registry services, funders) using a graph-based model. By overlaying these graphs, RMap provides additional context and permits faceted views of the aggregated data. A survey conducted by Nature recently found that that just under half of scientists and engineers visit ResearchGate regularly, more than regularly visit LinkedIn, Facebook, Google+ or Twitter. Scientific social and collaboration networks are rapidly gaining acceptance, but their place in the research ecosystem is still in a nascent period of rapid change. Industry analyst Mark Ware will give an overview of scientific social networks. Then we'll hear directly from the founder and CEO of Academia.edu about his organization's mission and services, as well as his vision for scholarly communications. Finally, we'll hear directly from a user of ResearchGate about the appeal of scientific social networks for the researcher. The challenge of requisite variety. Laure will describe the mission of ORCID, and the status of its adoption and implementation by the research community, with a focus on the use of ORCID identifiers and tools by researcher profile and reputational platforms such as Academic Karma, Altmetric, ImpactStory, KUDOS, ScienceOpen, Piirus, and more. Check back regularly for more information.